I have a sinking feeling that my days of eagerly throwing on a sweater and pants and heading out the door are quickly coming to an end. Gosh, do I ever love sweaters. But summertime in Canada is extremely sticky and anti-sweater, so I'm bracing myself and getting all of my stylish arm and leg covering in while I can. Like this fabulous outfit. As you can see, I'm still kicking it with these faux leather leggings from Aritzia. My love for them is still going strong, and in return they have yet to fall apart or lose their shape. Thanks, Aritzia. A newer love is with Club Monaco. It's only recently that I've shopped "seriously" in there, but in the past few months I've come away with three really nice pieces so I think it's safe to say I'm a convert. 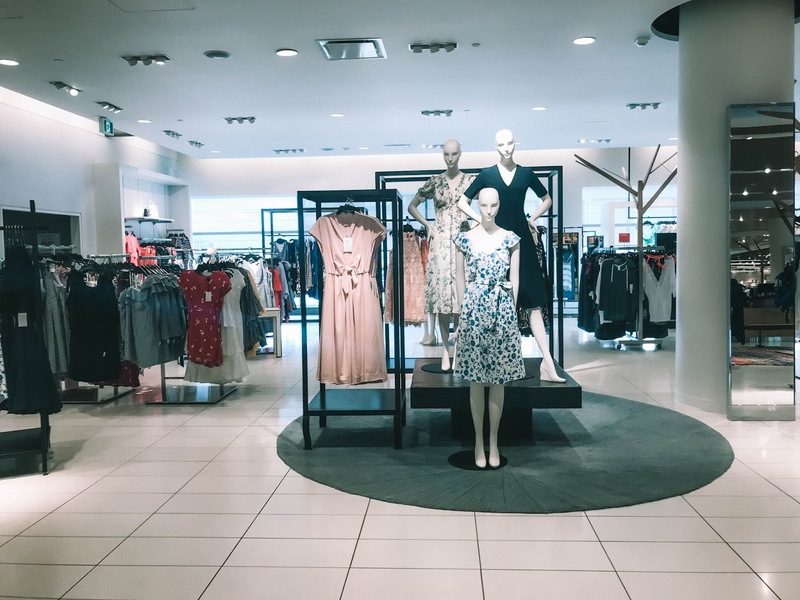 It helps that the new store at the Rideau Centre is beautiful and much bigger than the tiny shop I often skipped on my way to Zara. 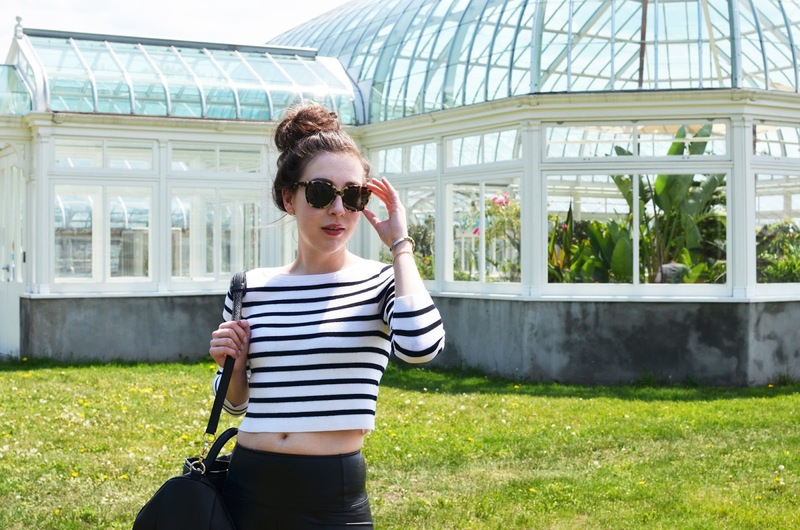 In this outfit, I'm wearing my newest finds: a cropped striped sweater and leather espadrilles. Both are divine. 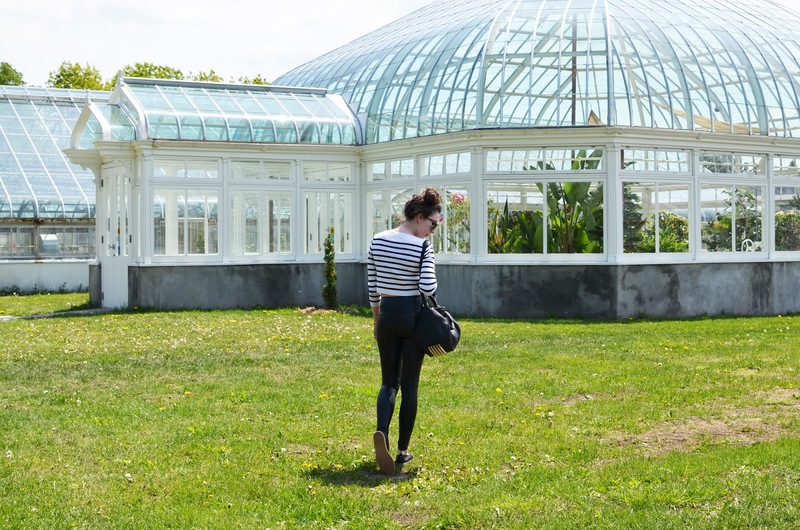 Special shoutout to the horticultural building at the Ottawa Experimental Farm for being so darn photogenic. What a gorgeous location for photos, if I do say so myself. ooh love this look, i'm yet to find a pair of faux leather pants that actually hug my legs and don't look like binbags, yours look so good on you! Love this look!! These pictures look fantastic!